This new collectors’ item hit the market and very appropriately as dynamic riding duo Adam Sandoval and Scooter. Edward Holland in South Africa in 1900 during the Boer War, with one of his pet monkeys. On Saturday at Boardtracker Harley-Davidson in Janesville, Hogs For Heroes thanked Giese for his life of service with the gift of a new motorcycle. A passion for the road and serving his community has led Michael Terry, a veteran with the Canadian military on a motorcycle trip to raise awareness of PTSD. Royal Canadian Legion branch donates $5,000 to Military Police Fund for Blind Children. The 13th annual National Service Dog Ride was held on July 8. 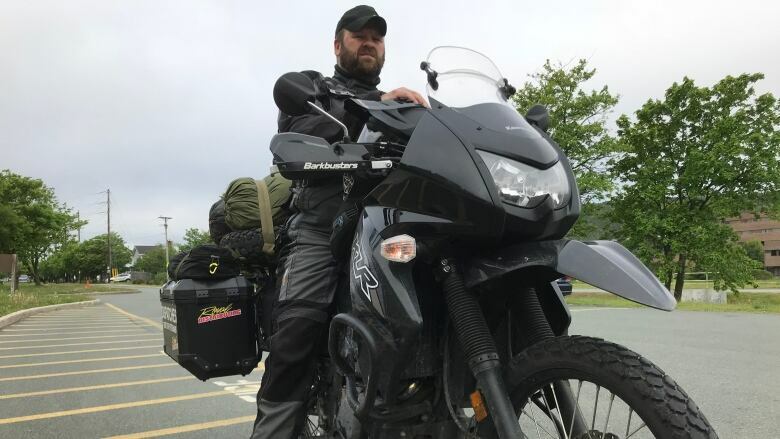 Michael Terry's Ride for Veterans has taken him from Meaford, Ont., to Newfoundland and Labrador, and will end in Vancouver in the middle of August.